Hello folks! I'm new here. Sorry to bother you like this in my first post. The thing is I was looking for a good download manager and after trying a lot of 'em I like EagleGet the most. 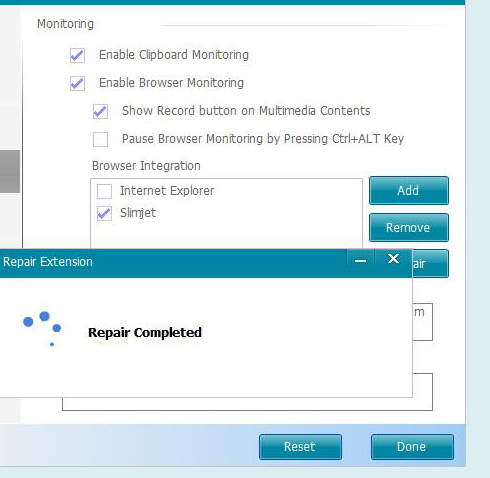 But I just can't get the extension to work and missing the monitoring feature. That's why I decided to talk to you. I did everything that was in my hands to make it work, followed every step, with no luck. So, if you have any suggestions, I'll be glad to read you. I use Slimjet, an already well known browser based on chromium. First tried to install the extension from the site. It gives me an error. The sign says -my language is spanish- that the extension is already downloading and beeing added to chome, but that's it. If I keep retrying, nothing happens. It's like a loop. I think I'm doing everything by the book. No luck at all. I have also noticed a feature at EagleGet site called Universal Capture Mode, but thou I'm using the latest release, nothing like that appears on my monitoring tab. Well, I'm puzzled. Please let me know if you think there is any other possible solution. And many thanks in advance! This is a known issue for long and one of the reasons why I stopped using Slimjet. EagleGet simply doesn't work on Slimjet. You can try other alternative browser though. Hello jackuars. I understand. I didn't know that. Thank you very much. Slimjet behaves so well otherwise that I never thought there would be incompatibilities. Ironic. Two programs that behave very well do not understand each other. What a pity! Maybe SlimJet it's just too slim. 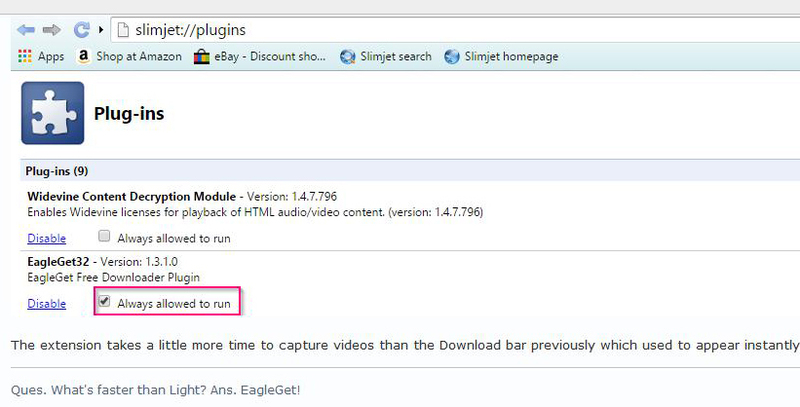 I will try to get another browser like SlimJet that is compatible with EagleGet. I tried Comodo IceDragon, another browser based on Firefox, but it is not compatible either. Any suggestions in this field of alternative browsers based on originals -but without the cheese- and that are already compatible with EagleGet? You can try Cent Browser which I think is really good.